With 140 stores situated in every state and territory of Australia and New Zealand, The Athlete‘s Foot is a leading retailer of sports, leisure and comfort footwear. ​What do we mean by that? It’s simple. We’re a mutual bank which is 100% owned by its customers; we believe in prosperity for the many, not just the few. This idea has always guided what we do, we believe in fairness - not greed. We use profits to benefit our customers and their communities. By putting the interests of our customers first, we’re able to offer benefits and rewards, such as lower lending rates, higher investment rates, lower fees and charges and community support. Serving your district since 1946, Findlays Barellan are a Licensed Stock, Station & Real Estate Agent. Livestock drafted and consigned to your preferred selling agent. Findlays are also cash grain buyers and provide bulk transport of Fertiliser, gypsum and lime supplies. 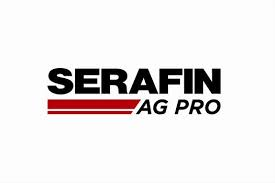 Serafin Ag Pro is a locally owned company in Griffith, New South Wales. Serafin Ag Pro is your local agricultural superstore, selling new and used farm machinery, as well as spare parts and repairs on most makes and models of farm machinery. Temora Fuel Distributors has been serving the Temora and District community since 1998. We specialize in bulk fuel delivery, we carry a diverse range of lubricants, we maintain a presence across our area with fuel services available in Ariah Park, Ardlethan, Barellan, Barmedman, Quandialla and Temora.In addition, our friendly and professional staff are here to answer any questions you may have about our company or our services. ​John & Annette Waide Contracting offer a seed cleaning, drying & grading service to Griffith and surrounding districts. 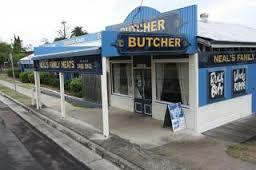 RURAL AND BUSINESS FINANCE. In order to service the ever increasing demands of our clients’ businesses, Yield Finance Group have recently established a dedicated Commercial Mortgage and Business Acquisition team within our group.